Looking for things to do in the city during the AFL long weekend? Whether you want to soak up the footy atmosphere or just make the most of the time off, there’s plenty on. 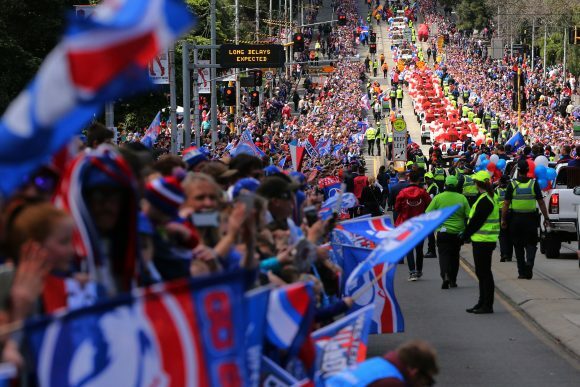 Experience the thrill of the AFL Grand Final Parade. 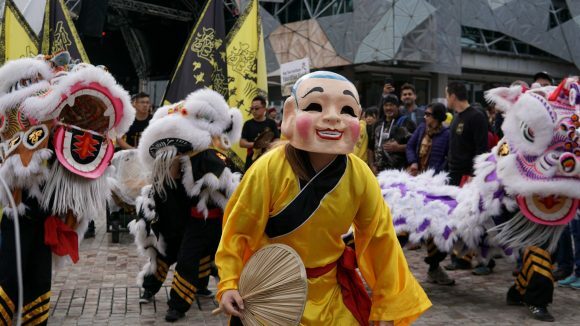 Marching bands and roving entertainment will join the cavalcade of Toyota hiluxes carrying the two teams from Old Treasury Building to Yarra Park (MCG). Make the most of the trip into town with breakfast beforehand, followed by shopping or a visit to an attraction afterward. Departs from Old Treasury building, 11am on Friday 28 September. From Wednesday 26 September to the big day, the free Footy Festival celebrates Melbourne’s sporting obsession at Yarra Park. There’s a kids zone, including jumbo AFL grid games and a giant inflatable obstacle course. ‘Taste of Football’ brings food trucks including Biggie Smalls, Toasta, Bibimbap and more. Appearances by AFL heroes, pre-match entertainment and the battle for the Premiership Cup live on the big screen round out four days of fun. 26 September to Saturday 29 September. 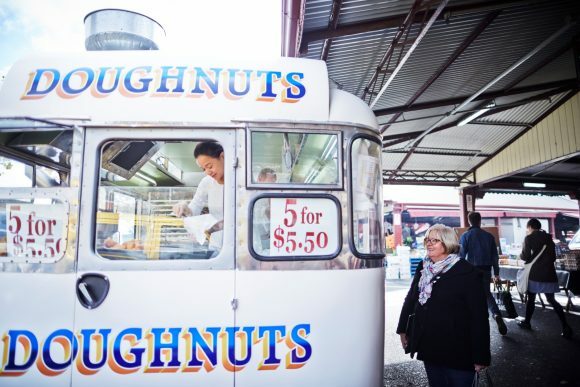 Restaurants will be open for breakfast, lunch and dinner, throughout Chinatown, Docklands, Federation Square, Lygon Street (Carlton) and Southgate. Just a short walk from the parade route, here are just a few of the delicious lunch options for footy fanatics, families or friends. A few minutes walk from the ‘G, Gazi’s an all-day diner that serves sophisticated, fun Greek street food. Enjoy traditional Greek classics with a modern twist, like the soft shell crab souvlakakia, wood-fired meat roasted on the spit or classic Greek dips and salad. 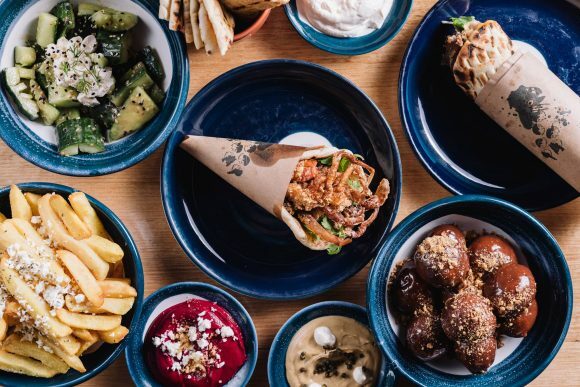 Just a few minutes from the ‘G, get stuck into a Greek feast at Gazi. Lucy Liu’s Kitchen & Bar serves modern Asian meals including Chinese and Japanese fusion dishes. Enjoy delicious share-plates with friends and family. Menu includes green papaya salad with shrimp, Korean style crispy pork hock and Vietnamese coffee ice-cream for dessert. Open from 11am til late. Meatball & Wine bar specialises in charcuterie and homemade meatballs. Choose from a selection of meatballs: traditional pork with fennel or veggie cauliflower, chickpeas and coriander. After a long morning of festivities, a glass of wine or Aperol Spritz will lift your footy spirit. Bluetrain is famous for hearty meals, efficient services and value for money – the perfect place to bring hungry kids! With pizza, pasta, steak, seafood and kid’s meals available, this place offers fun, casual dining with great views of the river. They’re open all weekend, with a slightly later 12pm start on the Friday. Has Lello’s life changing lasagne left you wanting more? Find a moment of peace before the game kicks off and head into their Flinders Lane hideaway for a one-off pasta masterclass on grand final day. When it wraps up at 1pm you’ll be a stone’s throw from countless spots for footy viewing. 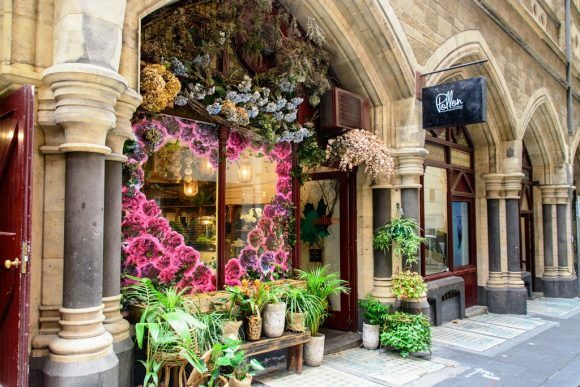 For many more delicious options, head to What’s On Melbourne. 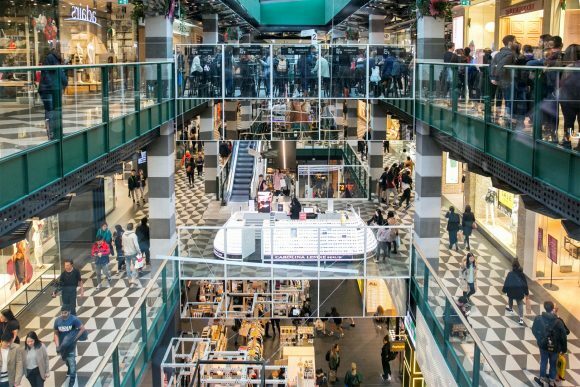 Many businesses in the city are open Friday and Saturday, so beat the usual crowds and make a day of it. Here are the open times for things to do in the city on the Friday public holiday. 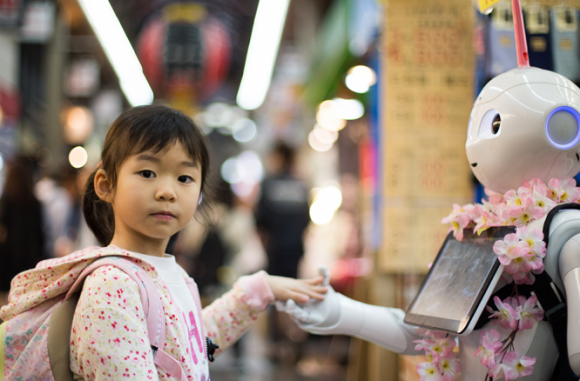 Queen Victoria Market: 6am – 5pm (fresh food), 8am – 3pm (specialty shopping) – traders start packing down stalls 60-90 minutes before advertised closing times. 4D Cinema, check session times on cinema website. The best way to access the Grand Final parade is to leave your car at home and catch public transport. With more services running during finals week, it’s the easiest way to get around the city. To find more information on Friday timetables, visit Public Transport Victoria. We’ve loaded you with information, so the choice is yours – soak up the atmosphere and immerse yourself in all the city has to offer. For more information on the big day itself, head over to Where to watch the AFL Grand Final.